Switching from a Microwave to a Convection Oven — Autoimmune Boss - Take back your life. This post contains affiliate links. All opinions and experiences are my own. View my full disclosure policy for more information. 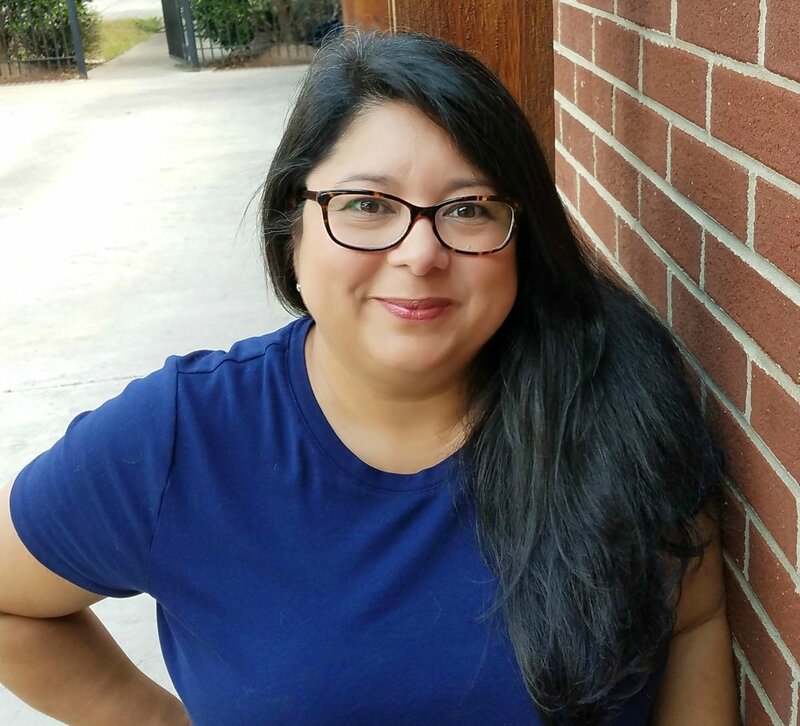 Thank you for supporting companies that support this blog. The sizzle and pop that I heard when the microwave turned on, will be a sound I won’t soon forget. That noise, sounding only slightly threatening, would launch me into a foreign world. One that once in, I wasn’t sure I wanted to be a part of. Why in the world would I give up the convenience of a microwave on a whim and go with a convection oven? I remember watching an interview with Dr. Maya Angelou on Oprah and hearing her say, “Do the best that you can until you know better. Then when you know better, do better.” It was a rule that made life simpler, yet so much more challenging. It has caused a reluctant growth in me time and time again. So here I am trying a new way because all the signs pointed this way. How I am able to make quick decisions? Instead of living my life working towards goals, I live my life working towards core values. I have a set of core values that I want to live my life by. If I keep these values front of mind when making decisions, I know that I am working towards living my ideal life. My dream life if you will. “In the end. Will this matter? Then I choose what supports my core values. I also try to navigate life by what I believe to be God’s and the universe’s instructions. If there are enough signs, I’m going to go for it! Sign #1- I had seen a few articles about microwaves being bad for you while scrolling the interwebs. I always tuck things like that in the back of my mind. Sign #2- Oddly enough I had noticed one on sale at Target just the day before, so I took the hubby and we swung by to check it out. As I always do, I asked her what research she has learned this from. She rattled off a few reasons that were strong enough to sway my decision to purchase a convection oven instead of a microwave. Trying something new seemed harmless enough and it was certainly the right price. So we popped it in the cart and headed home. Side Note: This post isn’t about why or why not you should not use a microwave. That is for you to determine, based on the research you do and what you believe is best for your family. I made a quick unboxing video for you incase you would like to see the convection oven we picked out. I do have to apologize to any of the deep researchers and review readers out there. I have many dear friends that would create a spreadsheet, read reviews, look the products up on Consumer Reports before even considering a purchase. For this purchase, I saw one convection oven. It was on sale and someone I trusted said I should get one. Those were enough signs for me to go for it. Now that I have one, I would categorize switching from a microwave to a convection oven a major life change. Switching to a convection oven reminds me of when we cut cable about 14 years ago. It wasn’t very common yet and we were kinda on our own just doing something weird to support our life choices of me wanting to stay home. Now here we are, switching to a convection oven and we feel a bit alone again. There is a huge mental and time shift that needs to happen. It simply takes longer to heat food up and not like 5-6 minutes instead of 90 seconds. It’s more like 15-20 minutes instead of 90 seconds. But dang! I forgot how good leftovers can taste! So that is a total bonus. I found it interesting at how fast we forget how to do something that used to be in our skill set. I didn’t grow up with a microwave. I believe I was a teenager when they came out and everyone started to add them to their homes. But when faced with heating up food for the first time, you would have thought I had never stepped foot in the kitchen before. Why is the switch a big deal for our family. The hubby batch cooks every week. We have healthy homemade food ready to go for the week. We are able grab whatever we are in the mood for and heat it up in about 90 seconds. I don’t need to monitor kids cooking. It makes meal time cleaner. I expend less energy on cooking, eating and cleaning up. We are loving how good our food tastes! With every food we heat up, we have to relearn how to best warm it up. We are learning how long it will take to heat up various foods. We are getting into the habit of washing pots and pans again with every meal. I have to learn that I can’t just walk away from something being heated on the stove like I could with the microwave. Your mindset needs to be rock solid that your choice and reason why you are doing this is worth it. It will take you a while to get used to heating foods differently. A convection oven is not an even exchange for a microwave. Many foods are better reheated on the stove top. If you want to heat quickly or you need to retain moisture in your dish, the stove top may be the way to go. This will cause you to have to stay at the stove to monitor the food. This is certainly a shift in habits and time management. 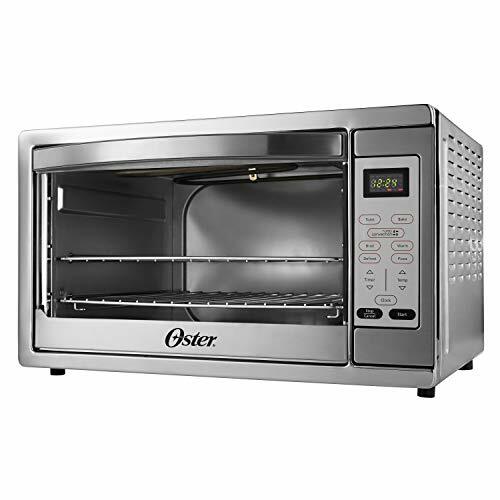 If you want the convenience of walking away while re-heating, but don’t mind a longer warm up time, this is where the convection oven comes in. I am even experimenting with a small baking dish filled with water to help retain more moisture in our food. Take notes at how you heat something up and how long it takes. This will help you plan ahead for meal time. Unless you have oven safe plates and bowls - you need to use a separate dish to warm up your food. I will caution you that this feels like extra work. This is just mindset. Yes, It includes more dishes and more time, but if you are at this point in the game- you are looking to make a change and that requires you to do something differently. Different takes time to adjust and streamline. Soon it will fold into your life comfortably and it won’t be a big deal at all. The food tastes amazing when reheated correctly! There are several convection ovens out there to try. This is the one we grabbed. 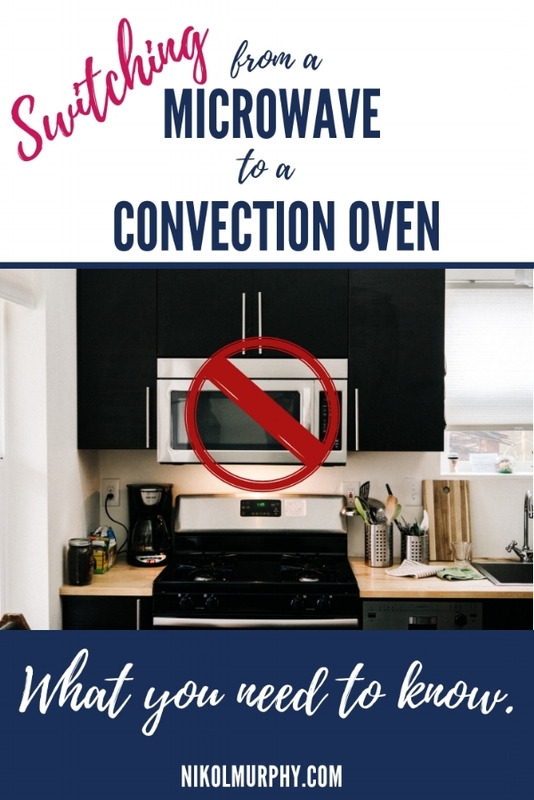 Are you thinking of switching to a convection oven?! Did you already switch? I’d love to hear what you would tell someone making the switch from a microwave to a convection oven!